Aloha! 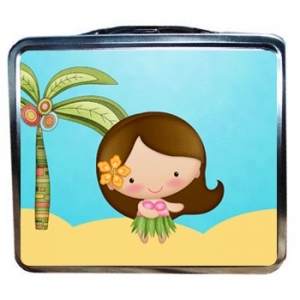 This darling hula girl lunchbox is a sure fire hit! 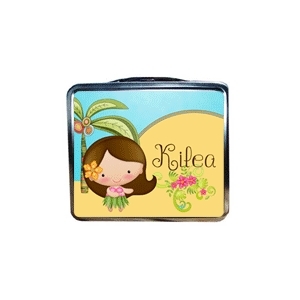 Little girls will love to fill these lunch boxes up with special treasures. This design allows you to customize with skin tone, hair color, name and even your favorite font.